When you are doing your sums before buying your first home don’t forget to include stamp duty. This tax can add thousands to the price of buying a home, but the good news is first-time buyer relief could eliminate your stamp duty tax bill. Stamp Duty, or Stamp Duty Land Tax (SDLT) to give its full name, is the tax levied on the purchase of property and land in England and Northern Ireland. In Wales it is known as Land Transaction Tax (LTT) and in Scotland it’s Land and Buildings Transaction Tax (LBTT). They all amount to the same thing – you have to pay a percentage of the purchase price of your property to the taxman. What is first-time buyer relief? The good news for first time buyers is you probably won’t have to pay stamp duty thanks to first-time buyer relief (also known as first time buyer stamp duty exemption) if you live in England, Northern Ireland or Scotland. This means that first-time buyers don’t have to pay stamp duty on properties worth up to £300,000 in England and Northern Ireland (up to £175,000 in Scotland). Stamp Duty is levied as a percentage of the value of the property you are buying. How much you’ll pay as a first-time buyer depends on whereabouts you live and how much you are paying for your property. In England and Northern Ireland first-time buyers pay no stamp duty on properties worth up to £300,000. If your new home is worth £300,000 to £500,000 you’ll pay 5% stamp duty, but only on the value above £300,000. For example, if you were paying £400,000 for your first home you would have a £5,000 stamp duty tax bill. That is 5% of the £100,000 above the £300,000 relief cut-off. Buy a home worth more than £500,000 and you are exempt from the first-time buyer relief, even if you are a first-time buyer. You’ll pay stamp duty at the normal rate. You can find a full break down of how much you’ll pay in this case in our guide to stamp duty. To qualify as a first-time buyer in the taxman’s eyes you must never have owned, or had an interest in, a residential property in the UK or overseas. This includes both freehold and leasehold property. I inherited a house, am I a first-time buyer? Afraid not. You own the house you inherited so no longer class as a first-time buyer despite the fact you’ve never actually purchased a property. I own a share of another property, does that stop me being a first-time buyer? If your name is on the deeds of another property, even if you don’t own 100% of it, you don’t qualify as a first-time buyer. I’m purchasing a shared ownership home, will I have to pay stamp duty? The Chancellor announced in his Budget in 2018 that first-time buyers purchasing a shared ownership home won’t pay stamp duty on the first £300,000 of any home that costs up to £500,000. This change was backdated to 22 November 2017. So, if you were a first-time buyer who bought a shared ownership property after that date you can claim a stamp duty refund. I’m buying a house with someone else. One of us is a first-time buyer, the other isn’t. Can we get stamp duty relief? If you are both named on the deeds of the property, then unfortunately you won’t qualify for the first-time buyer relief. The only way you could get around this would be to buy the property only in the name of the person who is a first-time buyer. Please note though that if you are married, or in a civil partnership, you are classified as one unit by the taxman, so you won’t get first-time buyer relief in any circumstances if one of you has already owned a property. Also, if you go down this path be aware that if you are buying with a mortgage then this will affect how much you can borrow as the affordability calculations will be based on only one person’s income. A mortgage broker could help you work out if that is going to be an option. Can I get first time buyer stamp duty relief on a buy-to-let? No. First-time buyer relief is only applicable if you are buying a property you intend to live in. However, you can let out other rooms in your home and still get the relief. How do I work out how much I owe the taxman? If you are buying a property for less than £300,000 (£175,000 in Scotland or £180,000 in Wales) then no stamp duty is due. Stamp duty is due 30 days after you complete on the purchase of your home. That’s the day you get the keys to your property – find out more about the purchase process with our step-by-step guide to buying a home. Your solicitor or conveyancer should handle it all for you, submitting a return to HMRC on your behalf, collecting what is owed from you prior to completion then paying the taxman on completion day. Speak to your solicitor or conveyancer just to make sure they are handling your stamp duty bill. Can I use my Help-to-Buy ISA bonus to pay my stamp duty bill? Absolutely. Tell your solicitor that you have a Help-to-Buy ISA and once you’ve agreed a completion date they can submit your bonus request. It is then paid to your solicitor who will deduct it from what you owe for the property. Got more stamp duty questions? If you think you may have to pay stamp duty (double check using our stamp duty calculator) then our complete guide should answer any further questions you have. Still got more questions? Consider joining the HomeOwners Alliance then you can call our advice line on 0800 073 2326 with any more questions you need help with. How else can I get help getting on the property ladder? 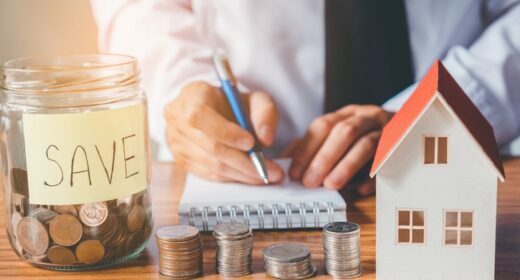 The government are keen to help first time buyers so there are a number of initiatives that could help you save for and then buy your first home. Help to Buy ISAs are a great way to save a deposit as your money grows tax-free and the government will add an extra 25% top-up when you are ready to buy. Alternatively, there’s Lifetime ISAs that first-time buyers can use to save for a deposit. They are similar to a Help to Buy ISA, but the 25% government top-up is added monthly, so you get the benefit of compounding to help your savings grow even faster. You can compare the two ISAs in our Help to Buy vs Lifetime ISA article. There are also a number of government schemes that can give you a leg-up onto the housing ladder including Help to Buy – where the government lend you a deposit – and Shared Ownership. Find out more with our overview of the government’s first-time buyer schemes.